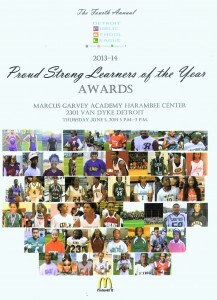 In tribute to Detroit Public School League pride, strength and its legacy of success, the DPS Office of Athletics will present the fourth annual PSL Proud Strong Learners of the Year Awards, sponsored by Detroit area McDonald’s, Thursday from 5 p.m.-7 p.m. at the Marcus Garvey Academy Harambee Center, 2301 Van Dyke in Detroit. This media recognition program will honor 50 student-athletes and three teams, each chosen 2013-14 Proud Strong Learners of the Week and representing the cream of the crop of PSL boys’ and girls’ athletics. The weekly honorees were cited for their athletic achievements during the fall, winter and spring sports seasons. 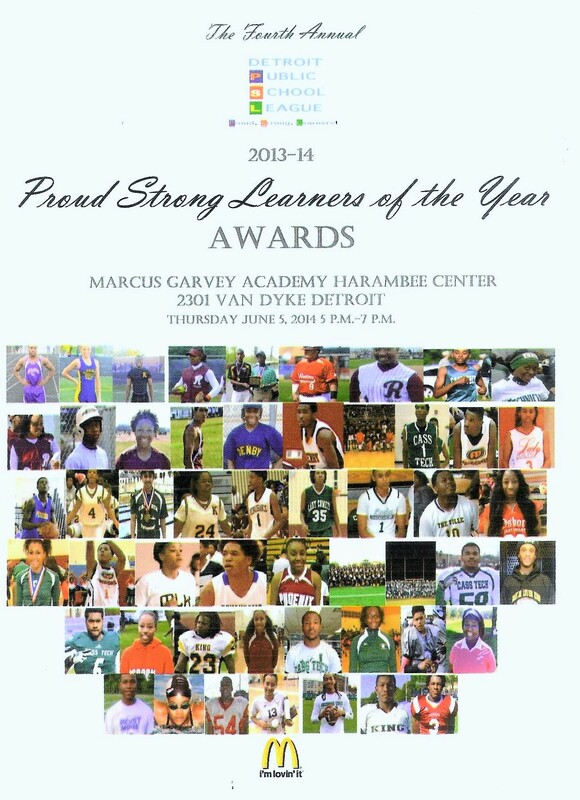 From the honorees, one boy and one girl will ceremoniously be named this year’s PSL Proud Strong Learners of the Year. Last year’s top recipients were Pershing High point guard Kahlil Felder, now a starter for Oakland University, and King High guard Antania Hayes, who signed to play at DePaul University and has since transferred to Oklahoma State. This media event is open to honorees, their parents, coaches and school personnel.